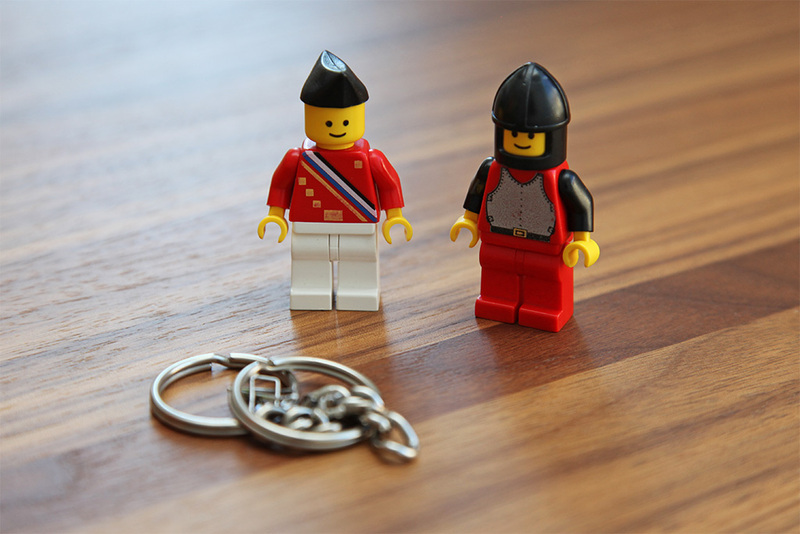 In a past blog entry I discussed minifig surgery and indeed can remove arms and hands from the keyring figures using those techniques. Removing legs does not seem quite as simple, as the studs seem larger than most and I fear breaking them. I imagine the legs would come off normally if need be, but with a higher risk of breaking than with some minifigures. The biggest problem in reusing these figures, though, is the fact that the entire figures – aside from arms and legs – are bonded together and there is a giant keychain and ring sticking out from the back of their heads. Here is how I removed the keychains and rings. 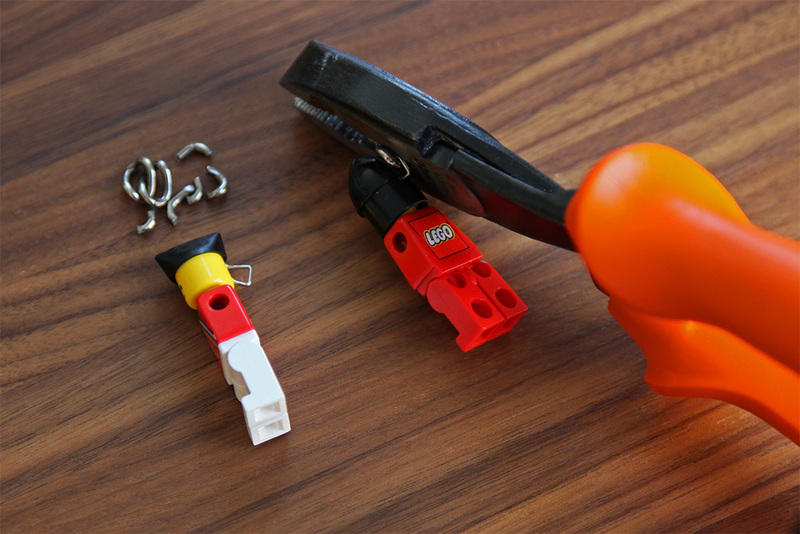 This works for the older stapled LEGO keychains, the modern ones use screws that require a different approach. Be careful, this process will break the keychain and might break more than that. 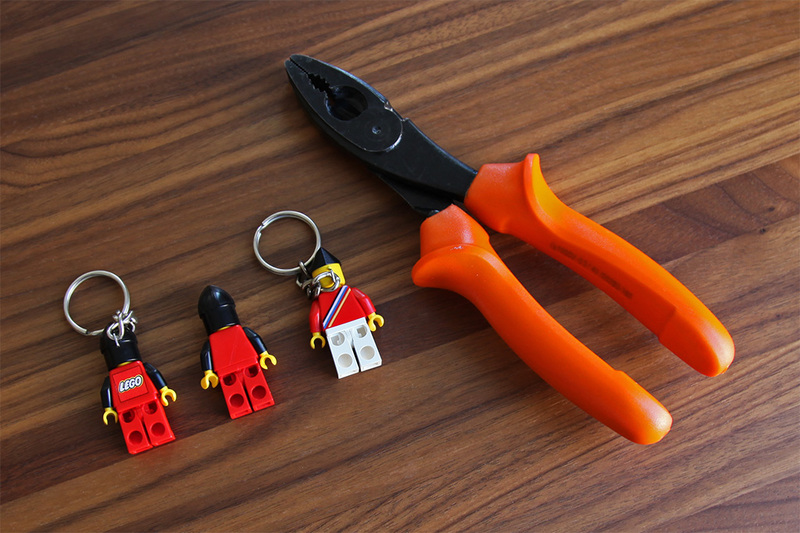 I started by first pulling out the arms and the large keyring, which come off without any tools. 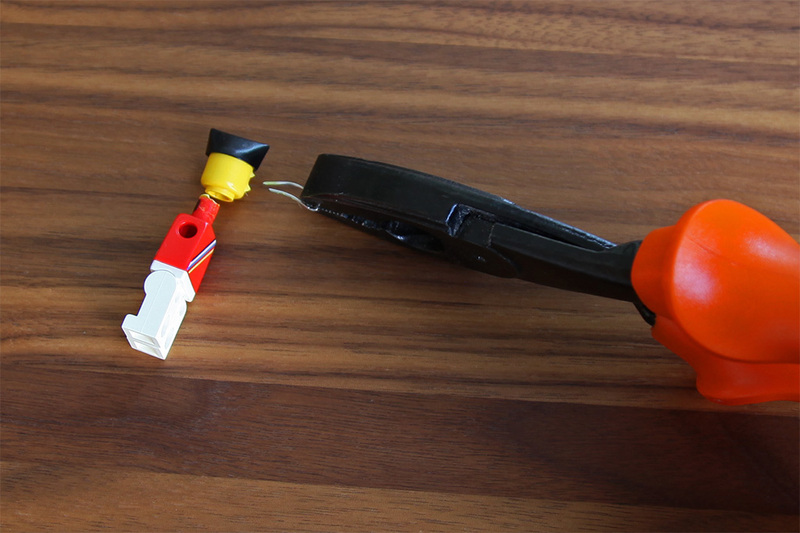 See the minifig surgery article for how to pull the arms out. Next step was to use the cutting edge of regular flat-nose pliers to test the strength of the actual keychain. The keychain is made of small metal rings. I first cut the last small ring of the chain to test and to avoid any damage to the minifigure. The metal was fairly easy to cut and break (it does require using some force), but the pieces also fly everwhere. I recommend using eye protection and a plastic bag or other container to keep the pieces from flying into unfortunate places. 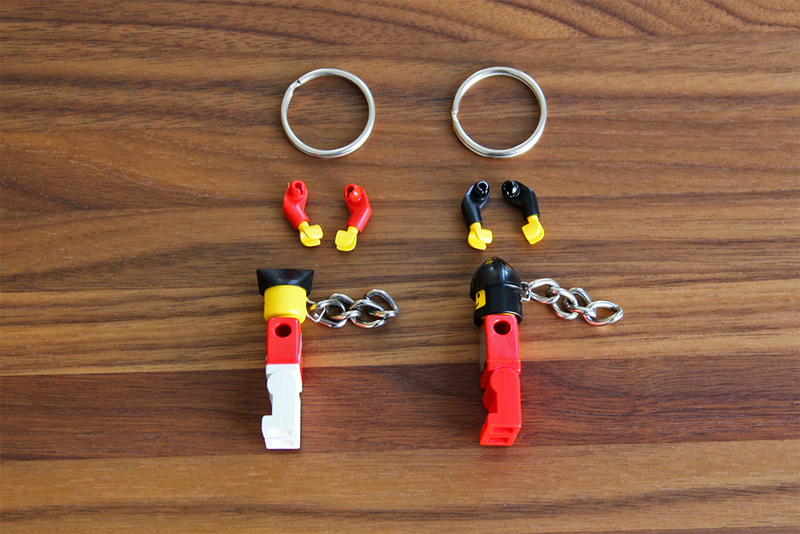 After test cutting the last small ring of the chain, I proceeded to cut the keychain ring closest to the minifigure head. Once done for both, I was left with just the metal staples sticking out from the heads. 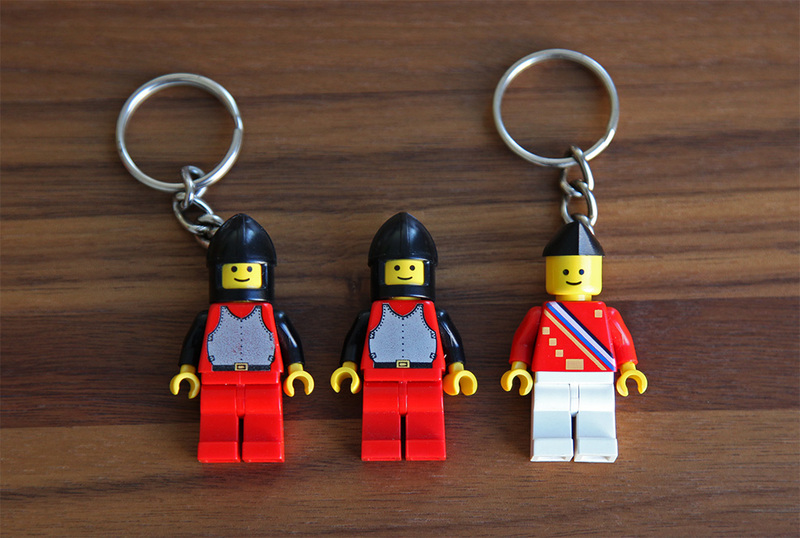 Here are the minifigures, free from chains! Update: I was able to pull out the Castle keyring legs apart normally, it just required quite a bit of force. 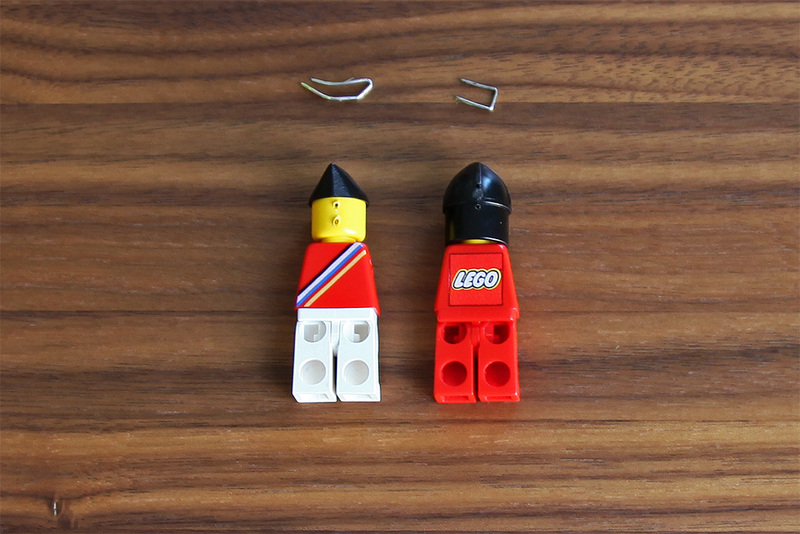 I documented this in the “Removing minifig legs” post. 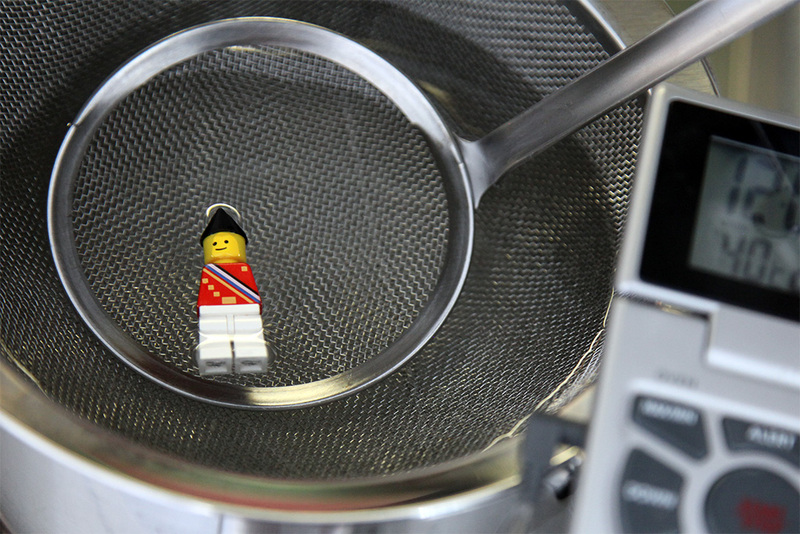 I’m sorry to bring back something so old but I have recently become interested in the Lego ambassador minifig. Has anybody been able to remove the hat? Thank you for the comment. FWIW, I never was able to remove the hat. It seems glued, so I wonder if sufficient heat might loosen it.